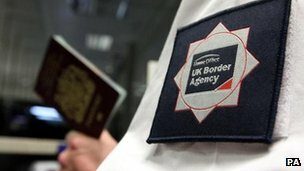 More than 10,000 overseas students who apply for visas to study in Britain are to face compulsory interview tests as part of a new UK Border Agency drive to filter out abuse. UKBA staff are to be given a new power to refuse entry to any overseas students whose credibility remains in doubt after being interviewed. Those who fail to turn up for the interview will also be refused entry to Britain if they fail to give a reasonable explanation. The decision to tighten the regime for overseas students comes as David Cameron is reportedly considering changing tack and removing foreign students from the official net migration count, after mounting fears that the government’s approach is damaging the £8bn-a-year industry. The latest figures from the Office of National Statistics show that net migration to Britain remains at a record high of more than 250,000 a year. Ministers have pledged to reduce that figure to below 100,000 by the time of the next election. Coming to study is the most common reason given by those who migrate to Britain, and overseas student migration forms the largest component in the annual net migration figure. The immigration minister, Damian Green, has rejected the universities’ argument that students are not migrants and should be excluded as “fiddling the figures”, but according to the Sunday Times report, Cameron now accepts that there is a risk that overseas students are turning their backs on Britain. “The prime minister understands these arguments and is definitely considering a change of policy,” it reports. The targeted overseas student interview programme, which is due to start on 30 July , will result in 10,000 to 14,000 applicants for student visas interviewed each year – about 5% of those who apply to come to Britain from outside Europe. The programme follows a pilot scheme run last year under which more than 2,300 students visa applicants from 47 countries were interviewed at 13 overseas posts by consular officials. UKBA officials turned down 17% of the applications on existing grounds, such as not having basic conversational English. But they said they could have potentially refused a further 32% of those interviewed on the grounds that their credibility as genuine students was in doubt, if they had had the power. The Home Office says the highest levels of would-be refusals on credibility grounds were found among applicants from India, Pakistan, Bangladesh, Sri Lanka, Burma, Nigeria and the Philippines. It is expected that the interview programme will be targeted on those who apply for student visas from those countries. Green said: “With more interviews and greater powers to refuse bogus students we will weed out abuse and protect the UK from those looking to play the system. Up to 50,000 migrants may have exploited flaws in a new student visa system in its first year to come and work in the UK, a report by Whitehall’s spending watchdog says. Under a system introduced in 2009, each student must be sponsored by a licensed college and cannot change institution without gaining permission. But “key controls” had not been put in place, the National Audit Office found. 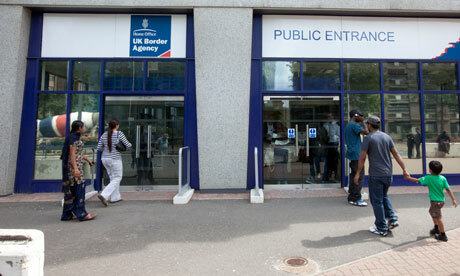 The Home Office said “tough new rules” were cutting student visa numbers. 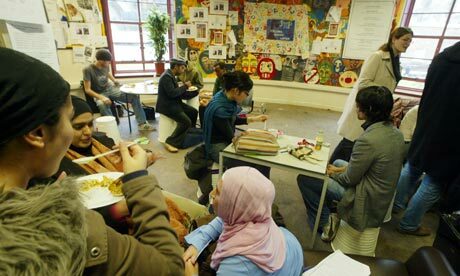 Under the previous system, there was no limit on the number of non-European Economic Area students a college could enrol and students were free to move college and course without notifying the UK Border Agency. The replacement, brought in by the Labour government, states that each student must be sponsored by educational institutions licensed by the agency and cannot change college without applying to it. Colleges are responsible for judging people’s intentions to study. The agency has removed 2,700 students since 1 April 2009, but the audit office said it had “been slow to withdraw students’ leave to remain in the UK, where it has cause to do so”. Addresses for almost a fifth of more than 800 migrants wanted by the agency were found in just one week at a cost of £3,000 by a contractor hired by the watchdog. Amyas Morse, head of the audit office, said the flaws in the student visa system had been “both predictable and avoidable”. Labour MP Margaret Hodge, who chairs the Commons Public Accounts Committee, said: “This is one of the most shocking reports of poor management leading to abuse that I have seen. But immigration minister Damian Green said: “This government has introduced radical reforms in order to stamp out abuse and restore order to the uncontrolled student visa system we inherited. Nicola Dandridge, chief executive of Universities UK which represents vice-chancellors, said “good progress” had been made tightening up the system, but there was evidence that legitimate students were being deterred from applying. “There are some very significant dips, particularly from the Indian sub-continent, where there appears to have been a very negative message which is going out, which is that genuine students are not particularly welcome in Britain and that’s what we’re really concerned about,” she told the BBC. Sir Andrew Green, chairman of the Migration Watch UK campaign group, called on the government to reintroduce interviews for all prospective students “to weed out bogus applicants before they come to Britain, as the Americans and Australians are already doing”.